In September 2017 the shipyard’s lifting capacity was increased with the arrival of a new travel lift with a lifting capacity of up to 660tons and the hard standing area was completely renewed. Furthermore, the operations management team was recently reinforced with the introduction of talented and experienced refit professionals. The shipyard’s growing reputation has been confirmed by the number of projects over 35m LOA who have chosen Amico Loano for their refit – more than 66 in the last three years. 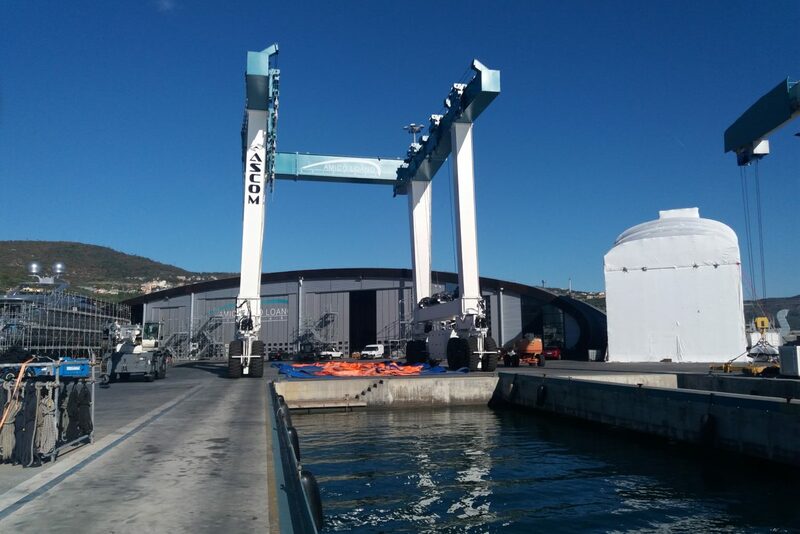 Amico Loano is a “boutique” shipyard with up to 6 vessels slots for LOA 40-50m. A maximum of two painting projects are taken on simultaneously so that they can be followed very closely, right down to the very last detail. Excellently located, near to France and yet out of any urban traffic – easy to reach, with no special permits required – the location has optimum incoming hospitality facilities offering top grade tourist services and exciting indoor/outdoor activities.